Delivery - Select Drink Inc.
Our products are available by either in-store pickup or delivery. Delivery is only available to customers who qualify, and deliveries are made once a week. 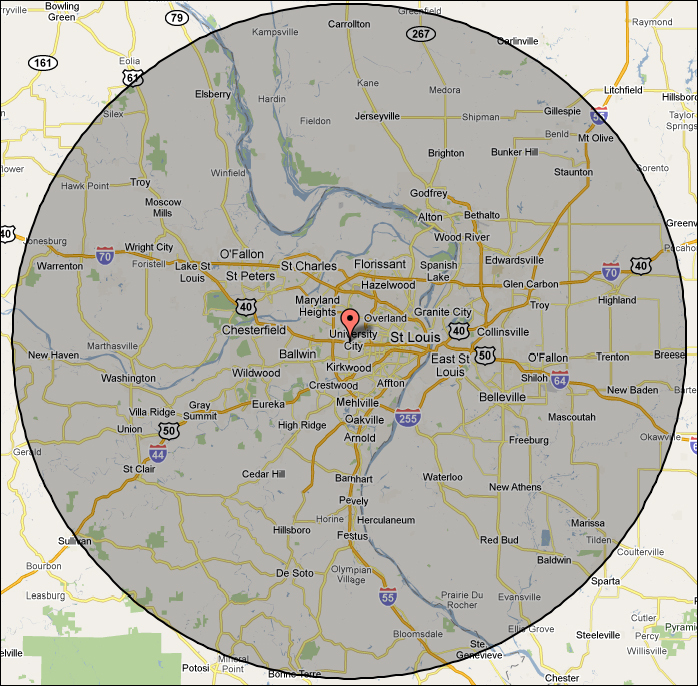 We deliver approximately within a 50 mile radius of the intersection of I-40 and Lindbergh Blvd. To see if you qualify for delivery, please contact our office by calling 314-731-4500.